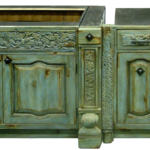 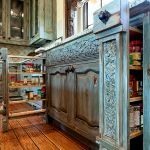 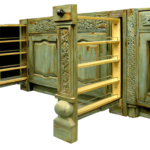 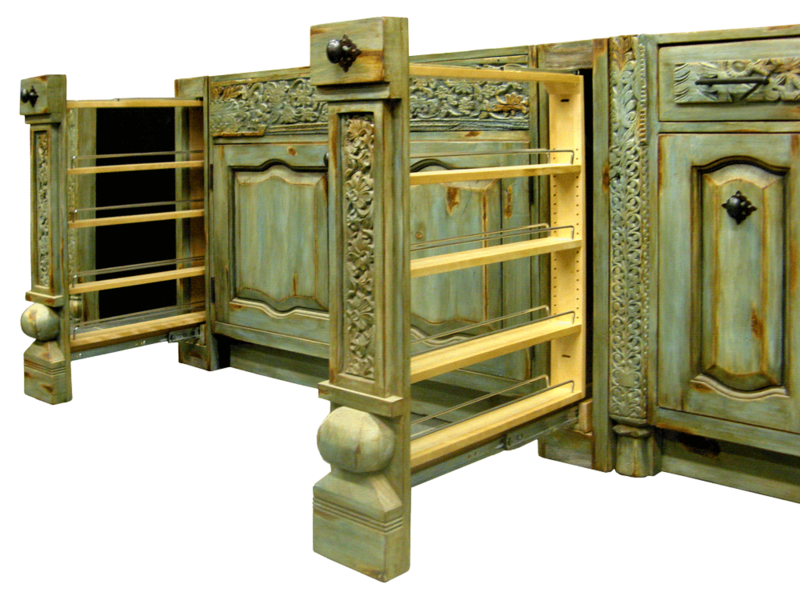 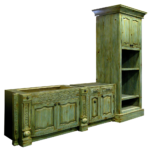 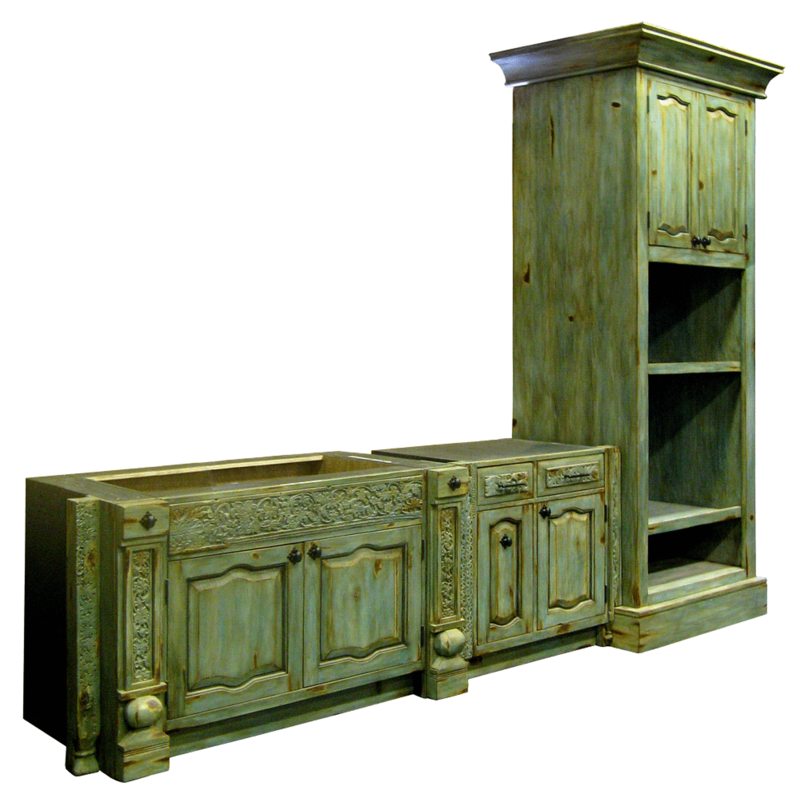 These custom kitchen pull-out pantry cabinets were created with antique panels featuring intricately carved floral patterns, and antique column bases. 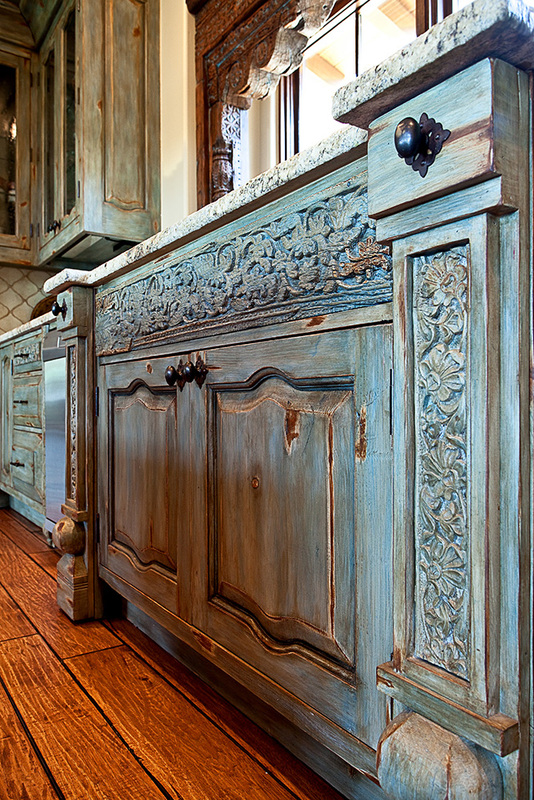 They are finished with a layered, hand-rubbed patina. 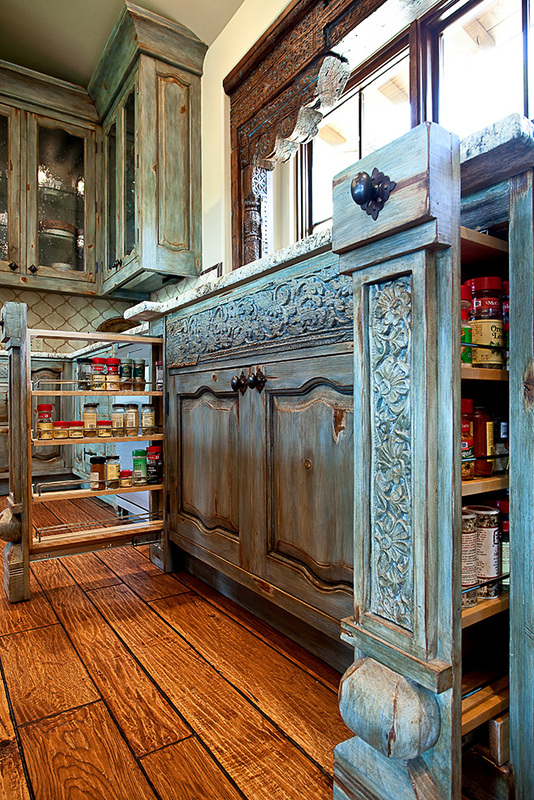 The main cabinet is flanked by pull out pantry cabinets.